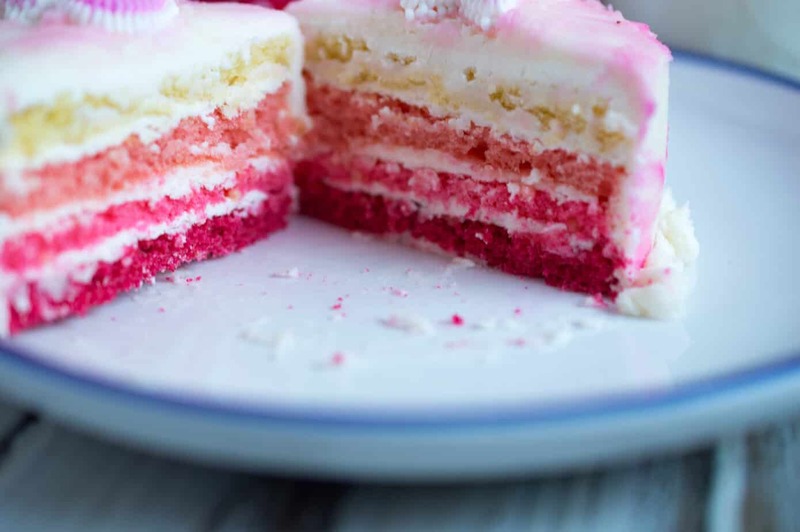 I’ve always loved the look of ombre cakes but the lazy cook inside of me wrote off making one because I always assumed the were super complicated. Turns out, I was wrong. 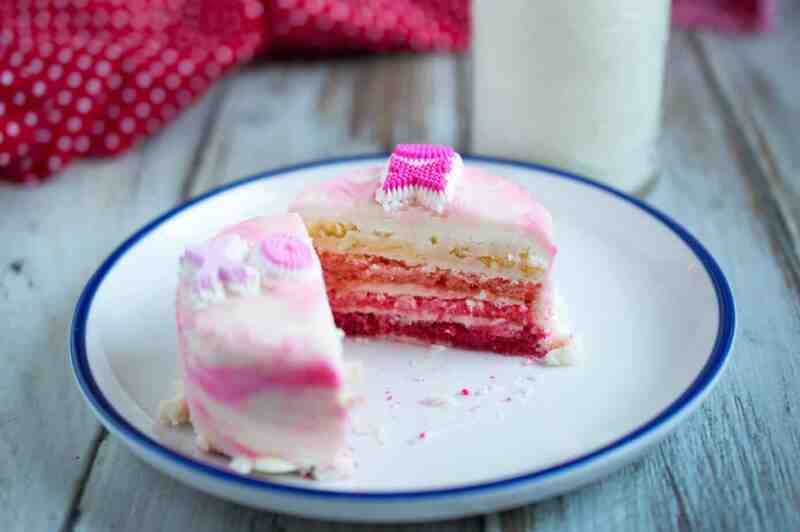 This Valentine’s Day ombre cake is easy to make and looks so pretty – it’s the perfect little Valentine’s day cake! Valentine’s Day has been strange for me since moving to the United States. In Australia (where I’m from,) Valentine’s Day isn’t huge, and when it is celebrated, it’s in a romantic way, i.e. between a couple. When I moved to the United States, I started to notice that people celebrated Valentine’s Day by giving a card or gift to the child as well as their partner, and kids would exchange gifts with each other. At first I found it strange, but now I think it’s just a sweet way to spread some love to your friends and family. And with the way the world is right now, we all need a bit of extra love, right? 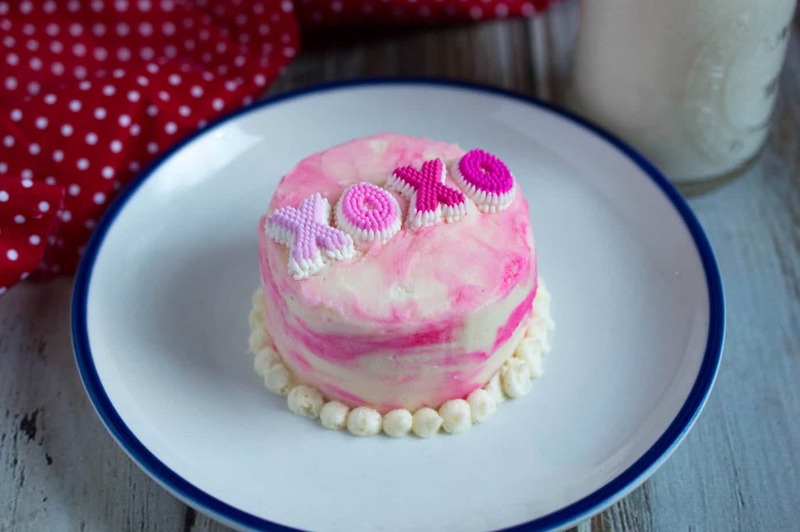 This sweet little Valentine’s Day ombre cake is the perfect, creative way to celebrate Valentine’s Day. And one of my favorite features of this cake is the surprise that occurs when people think it’s just a normal cake and then cut a slice and realize it’s a beautiful ombre cake! Line pans with parchment paper and spray with cooking spray. Prepare cake mix according to box. Leave one the way it is, and color the remaining 3 different tints of pink and red. 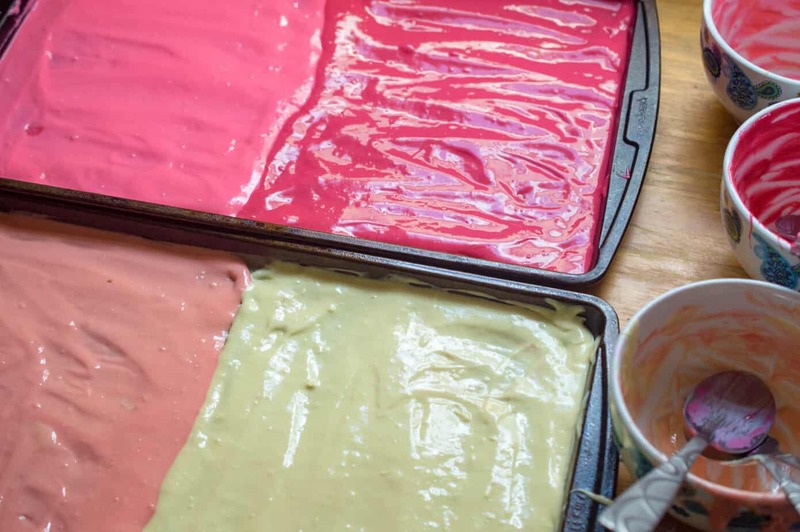 Pour one color onto one half of a pan. Pour another onto the other half. Spread until they meet at the middle. 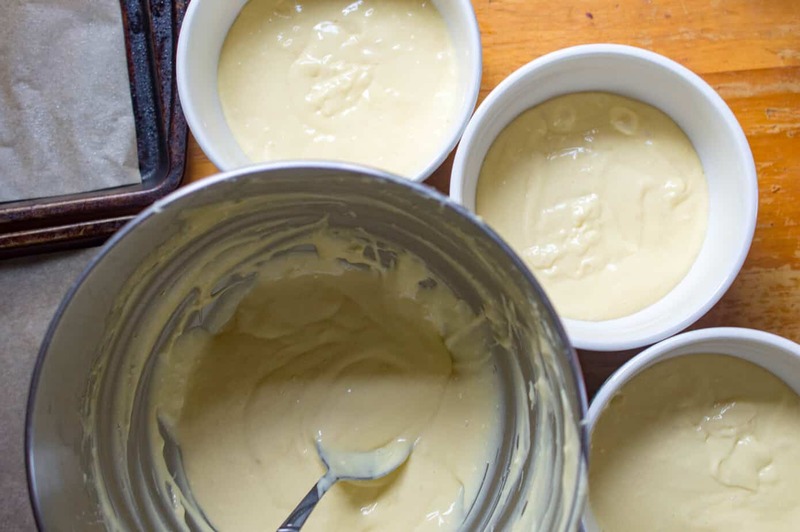 Repeat with the remaining two colors in the remaining pan. 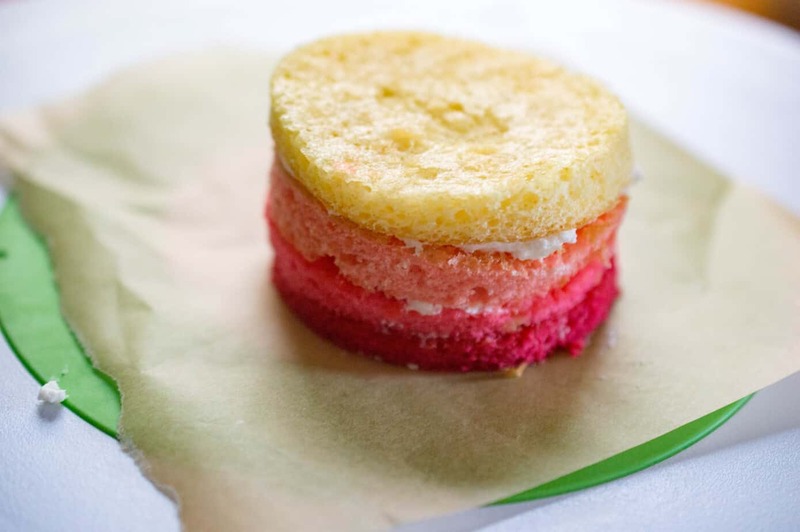 Bake for 10-12 minutes until cooked through and cake starts to pull away from edges. 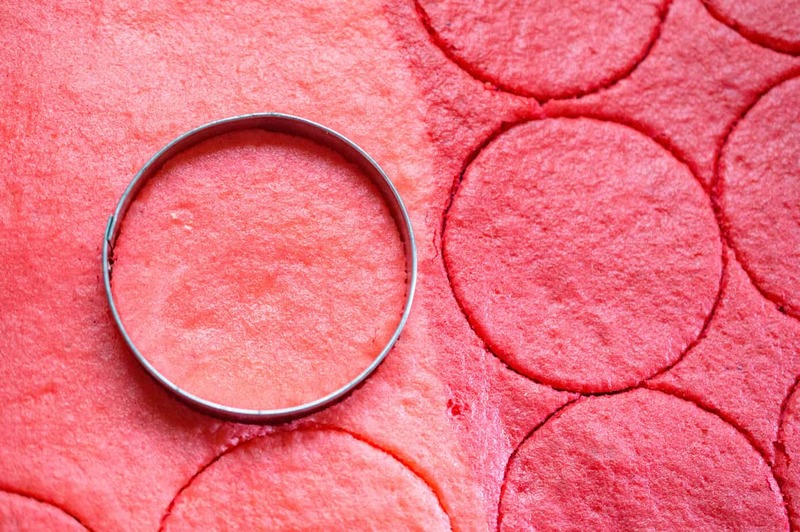 Use a cookie cutter to cut circles out of each color. 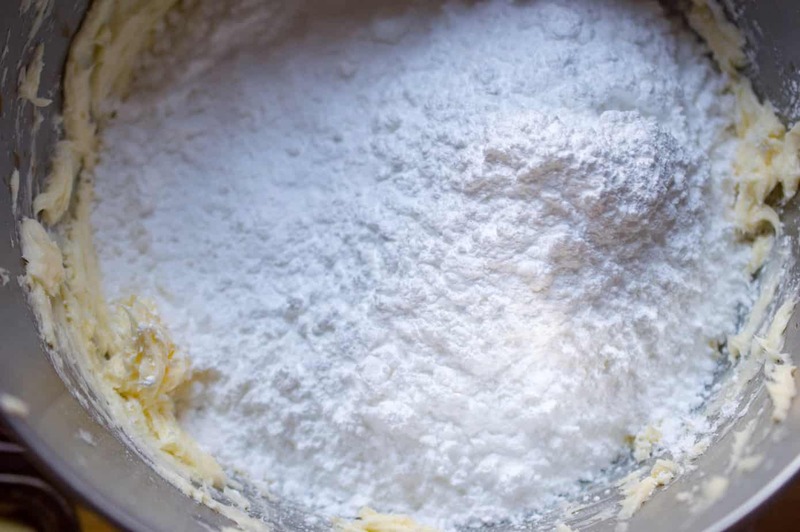 *Amount of cakes you will get depends on the size of the pan and the size of the cookie cutter you use. 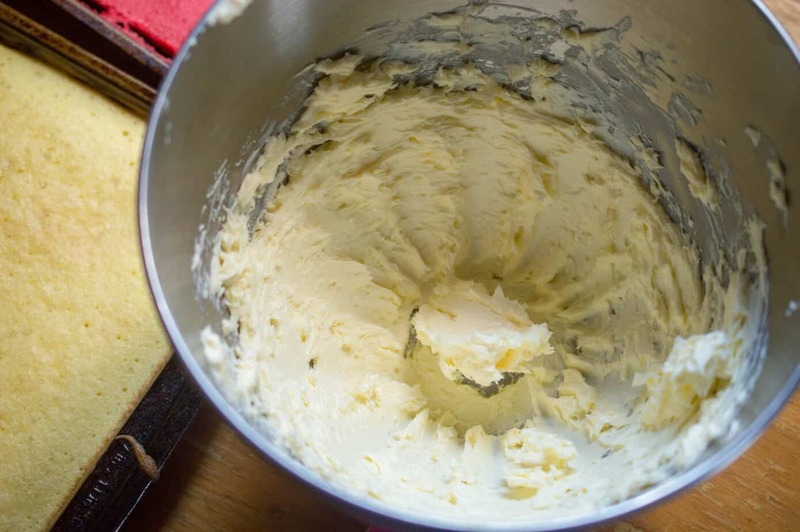 In a stand mixer with a whisk attachment (or using a hand mixer), whip butter for 2 minutes. Add vanilla, sugar and milk. Whip for another 2 minutes. 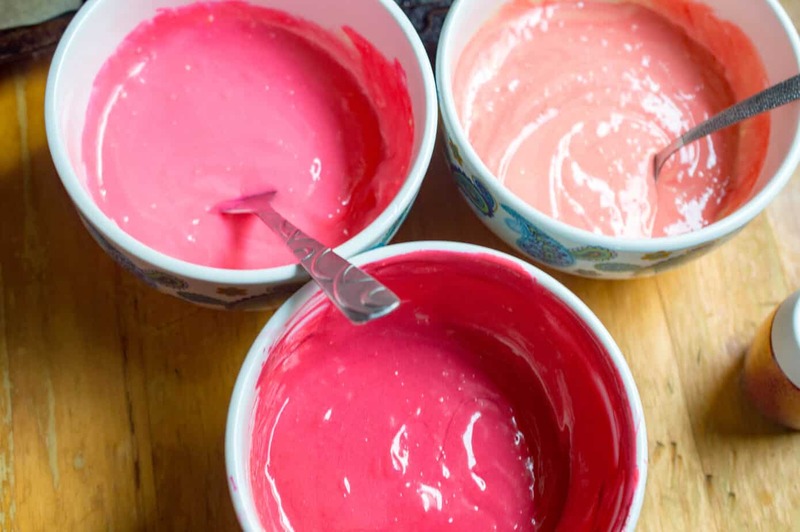 Separate into different bowl and color each with different tints of pink and red. 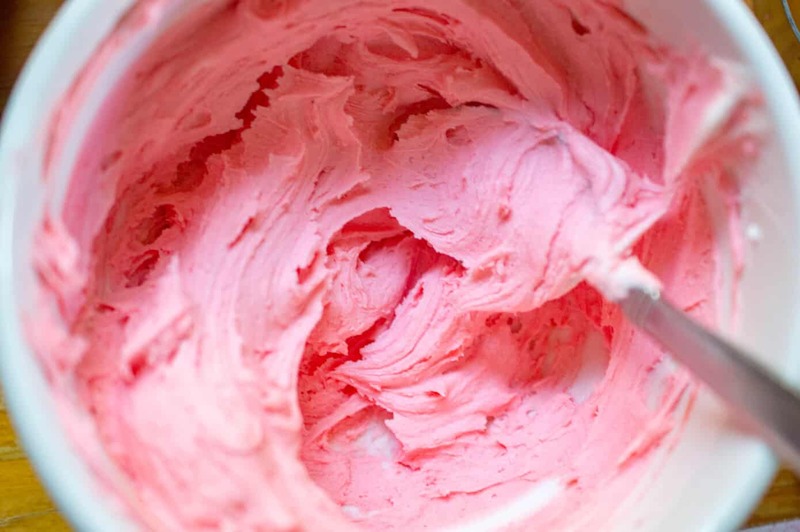 Place the darkest color down on a plate and evenly spread a little frosting. Repeat, using the next 3 cakes in color order from darkest to lightest. 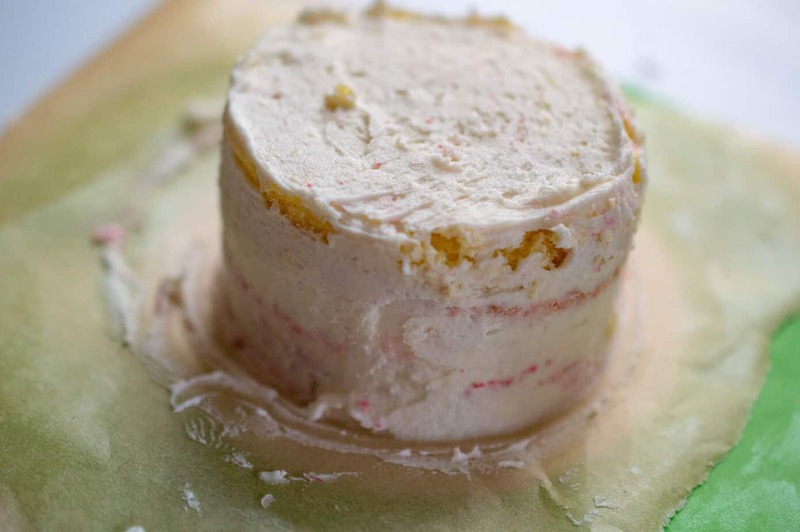 Crumb coat the cake (use a little icing over the whole cake) and place in the freezer for a few minutes. 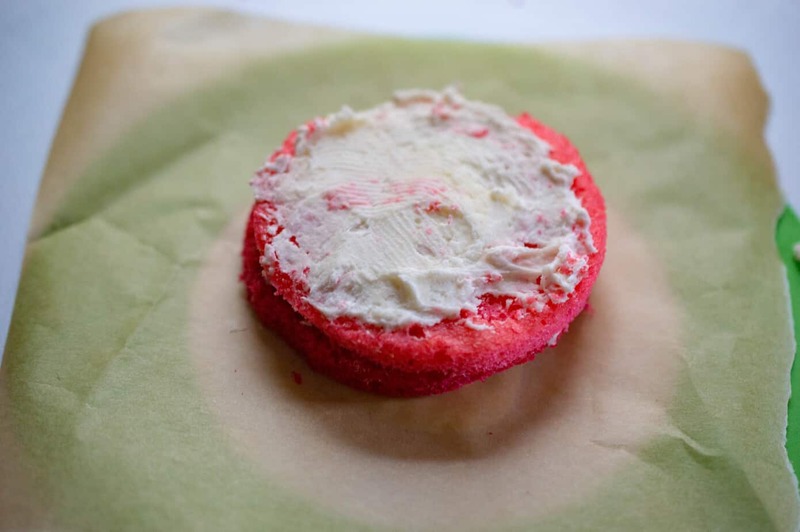 Add your frosting and decorate!